Douglas Nol Adams was an English author, comic radio dramatist, and musician. He is best known as the author of the Hitchhiker's Guide to the Galaxy series. 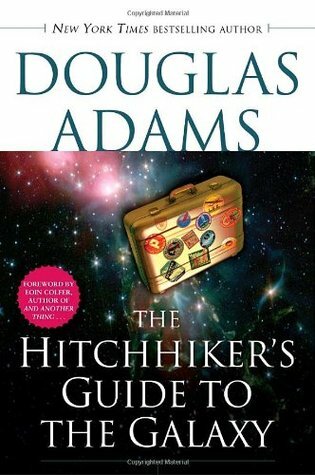 Hitchhiker's began on radio, and developed into a "trilogy" of five books (which sold more than fifteen million copies during his lifetime) as well as a television series, a comic book series, a computer game, and a feature film that was completed after Adams' death. The series has also been adapted for live theatre using various scripts; the earliest such productions used material newly written by Adams. He was known to some fans as Bop Ad (after his illegible signature), or by his initials "DNA".